Salman Abedi’s journey from cannabis-smoking university dropout to Isis suicide bomber is being gradually pieced together by investigators as Manchester reels from the worst terror attack to hit the UK in over a decade. 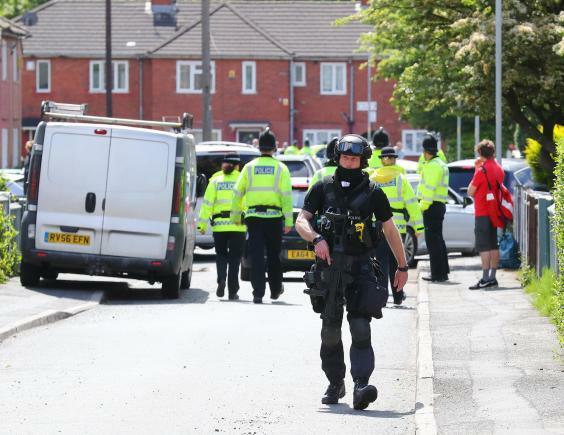 The 22-year-old was remembered as a “fun guy” who drank, took drugs and possibly had links with local gangs before appearing increasingly religious as his radicalisation deepened. The same transformation has been documented in many of Europe’s deadliest terrorists, including petty criminals and drug dealers in the Isis “super cell” behind the Paris and Brussels attacks. A report by the International Centre for the Study of Radicalisation (ICSR) found that more than half of known European jihadis had criminal histories, making them easy fodder for Isis recruiters offering “redemption” in the name of jihad. Professor Peter Neumann, director of the ICSR at King’s College London, said the emerging “crime-terror nexus” was making radicalisation harder to spot for security services. “There is now a perfect fit between these young men and a group that has shed any attempt at serious theological discourse,” he told The Independent on the report's release. Mr Neumann warned that the UK and other countries need to “rethink our strategy” to spot the warning signs for this new and dangerous form of jihadi. Analysts said Isis propaganda portraying a life of action, adventure, brotherhood and purpose was particularly appealing for those facing dim prospects at home. Research by the Combating Terrorism Centre additionally found the majority of Isis recruits had not always been observant Muslims, were unemployed or students and had an immigrant background – all factors shared by Abedi. Investigators are probing his potential links with militants and recruiters from Isis, which claimed responsibility for his massacre in a statement hailing a “soldier of the caliphate”. 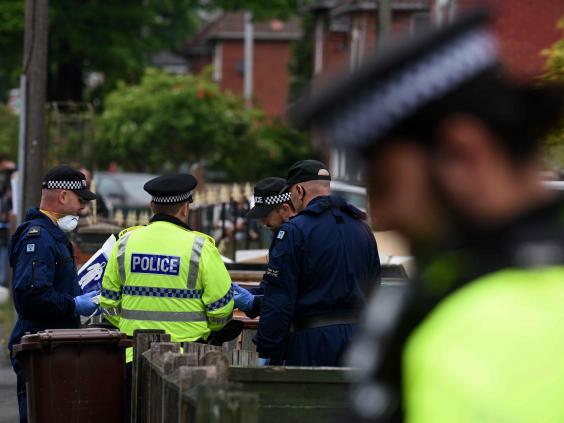 Abedi, who was born in the UK to Libyan parents who had fled Muammar Gaddafi’s regime, had shown signs of extremism including flying an Islamist flag from his Manchester home but not raised sufficient alarm to spark intervention by British security services. The Burnage Academy for Boys confirmed he attended the school between 2009 and 2011 but said it could give no further details due to the ongoing investigation. Abedi went on to study for a business and management degree at the University of Salford but dropped out at the start of his second year in September, getting a job in a bakery. He was not well-known by neighbours in the tight-knit Fallowfield community in Manchester, but some noticed he had grown a beard and started to wear religious dress in recent months. A person who said they knew Abedi from school told the Manchester Evening News: “He was an outgoing fun guy but since he went to Libya in 2011 he came back a different guy. Other clues pointing to radicalisation include the appearance of a black flag associated with Islamist groups on Abedi’s house in Elsmore road. “There was a black flag with Arabic writing on it on the roof for a bit, a few years ago,” a neighbour told the BBC. Leaders at the nearby Didsbury Central Mosque, where his father and brother are said to have prayed, told The Independent they were “shocked” and did not know Abedi. Fawzi Haffar said: “We have many Libyans here but the sermons are extremely moderate, we are very liberal...the preaching and the way we teach Islam is the correct Islam, in our opinion. Abedi used a suitcase bomb packed with homemade explosives and nails for the attack – the same method used for Isis’ bombings at Brussels Airport and Molenbeek metro station last year. CCTV footage reportedly showed the 22-year-old putting the suitcase down in the foyer between Manchester Arena and Victoria station shortly before it detonated amid Ariana Grande fans pouring out of the concert. 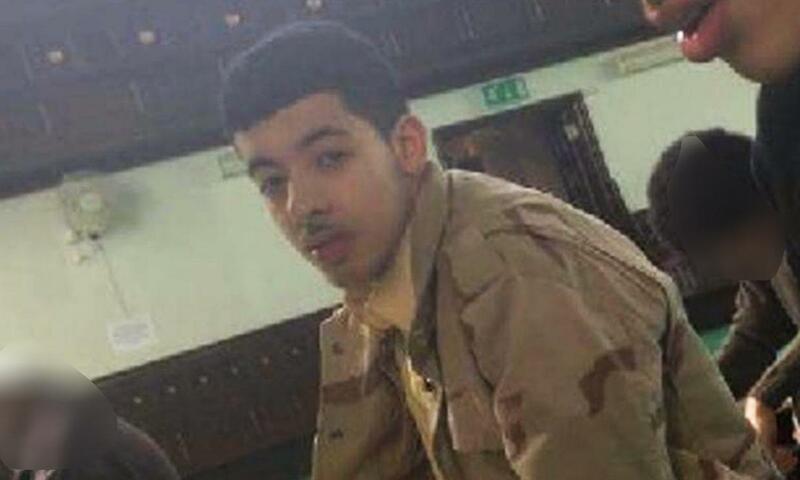 The Times reported that Abedi was known to security services as an associate of Isis recruiter Raphael Hostey, also from Manchester, who was killed in a drone strike in Syria last year. Other prolific militants from the city include Abdalraouf Abdallah who was jailed last for attempting to help fellow jihadis reach Isis territories in Syria after being shot and paralysed during the Libyan uprising. A family friend told The Independent Abedi and his brother, Ismael, remained in the UK when their parents returned to Libya with the rest of the family four years ago but travelled back and forth to the war-torn country. He returned from his most recent trip just days before Monday’s attack, sparking suspicions he may have been acting as a “mule” carrying a suitcase bomb built by Isis militants. "He went to Libya three weeks ago and came back recently, like days ago,” a friend told The Times. Chaos engulfing Libya since the British-backed removal of Muammar Gaddafi in 2011 has left armed groups including Islamist factions battling for control as smugglers launch thousands of refugees from its shores. Isis has gained a foothold in the country, using it for terror training camps bombed by the US in January over intelligence that “external plotters were actively planning operations against Europe”. Abedi’s movements inside the country are unclear, but France’s new interior minister said he may have travelled onwards to Syria. “All of a sudden he travelled to Libya and then most likely to Syria, became radicalised and decided to commit this attack,” Gerard Collomb told BFMTV. Of at least 850 extremists known to have left the UK for Isis territories in Iraq and Syria, at least half are believed to have returned and 15 per cent been killed. As the group loses swathes of territory Europol warned of an “increased rate in the return of foreign fighters” either to the EU or to other conflict zones including Libya. 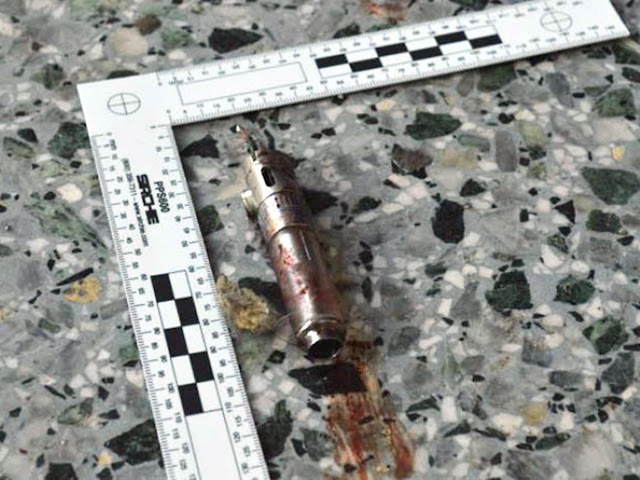 They will include militants with the expertise to build devices like the nail bomb Abedi used to kill at least 22 people and injure more than 60 others. As well as training an extensive network of bombmakers, Isis has periodically released manuals on how to manufacture homemade explosives using commonly available materials, as well as picking out targets including concerts for terror attacks. Amber Rudd, the Home Secretary, confirmed Abedi had recently returned from Libya and said the nature of his attack suggested he may have had support. “It was more sophisticated than some of the horrific events that we have seen in the past or in other parts of Europe so people are reasonably wondering whether he did this on his own,” she added.